Happy March! Hey guys, St. Patrick’s Day is coming up. I don’t usually celebrate the holiday much. Except maybe this year I’ll finally make it out to the dyeing of the river. The fifth year’s the charm, right? I might not go out for green beer and overcrowded bars on St. Patty’s day, but I definitely enjoy indulging my few percentage points of Irish heritage with food. Anyway, who doesn’t like eating all the food all the time? 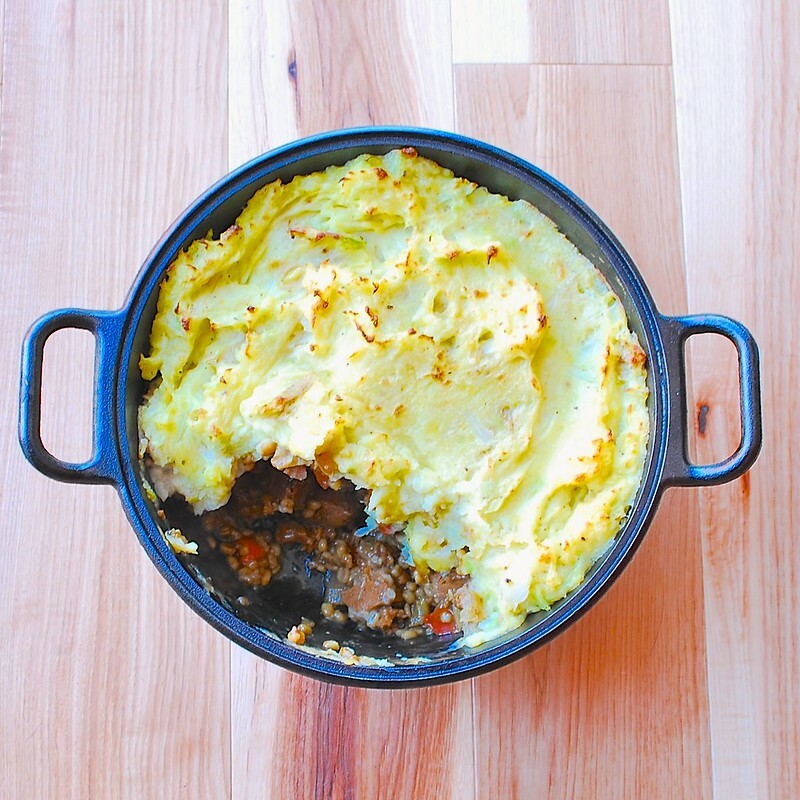 This year for St. Patrick’s day I wanted to get a little fancy and combined a seitan stout stew with calconnon for a take on a shepherd’s pie (Bonus: It’s even green! Thanks cabbage!). It resulted in the ultimate comfort food. Beer, barley, potatoes, and seitan, can you go wrong? -Heat the oil in a 4 quart dutch oven (or a large stock pot) over medium heat. Sauté onions, carrots, and celery for about 10 minutes until softened. -Add the seitan and sauté an additional 5 minutes. -Mix in barley, beer, broth, flour, thyme, and salt. Bring to a boil, then turn down heat and let simmer for 25 minutes until barley is chewy and cooked through. -Mash the potatoes in a bowl with the mayonnaise and a couple tbsp of milk until desired consistency is achieved. Add more milk if necessary. -Add the cabbage, salt, and pepper. Adjust to taste. If using a stock pot transfer stew to an oven safe casserole dish, otherwise you can just add bake in the dutch oven. 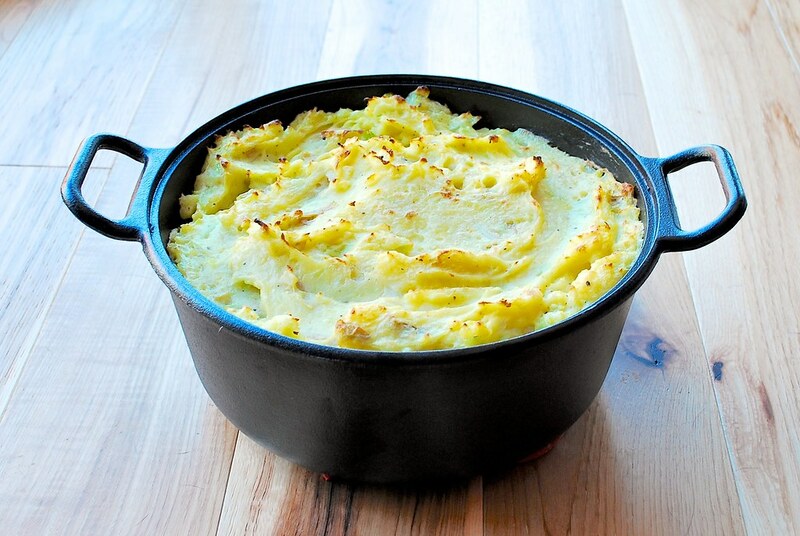 Spoon the mashed potatoes on top of the stew and bake at 375 °F for 20 minutes. Broil for an additional 5-10 minutes to get a nice golden crust on top. This entry was posted in entree and tagged cabbage, food, Irish food, pearled barley, potatoes, recipe, seitan, vegan. Bookmark the permalink. Looks good. Thanks for sharing this one. I made it and it was delicious! Shankar (my husband) gave the following review: “It is excellent.” Very hearty and we have tons of leftovers for weekday lunches!